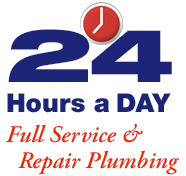 For most service calls, we bill on a time and material basis. There’s a one-hour minimum charge and after that we charge by the quarter hour, plus the cost of materials. There is a one time, small trip fee added to each invoice to help with the cost of insurance and gasoline. This trip charge allows us to bill at a lower hourly rate. We employ our own sheetrock and stucco crew. Unless otherwise noted on your written estimate, we will cut all walls where needed to access areas of piping, i.e. under cabinets, rear of toilets, rear of water heaters, shower valves. After pipe installation and inspection by the City inspector, the sheetrock and stucco will be replaced to a textured surface, unless texture is a painting process. Painting and wallpaper repairs to be performed by others. Hot water recirculation systems are available from AquaTek Plumbing. These systems are an outstanding amenity to the home in that they supply hot water instantly throughout the home. In our systems, we utilize a Grundfos pump and timer, attached to a fully insulated water and recirculation pipe manifold. This unit can be turned on and off by setting the timer to the style of your living conditions.